It is a truth that must be acknowledged: Kazimierz has now become the de facto culinary centre of Krakow, from its burgeoning food truck scene and street food outlets to vegetarian, sushi, curry and other Asian options. This is spilling over into neighbouring Podgorze and even Zabłocie, as it seems canny gastronomes and restaurateurs alike are shunning the centre’s high prices and tourist-friendly gimmicks and blandness for something more exciting. Amongst all this clamour for newness and culinary adventure, is there still room in this part of town for tradition? I decided to find out and do something I haven’t done for a while: visit a Polish food restaurant. Located centrally in Kazimierz near the main tourist drag of ul. Szeroka, it certainly has plenty of competition close at hand, so needs to do something to get those tourists coming in. A guy on the street outside trying to persuade them to – as is the case here – isn’t the best option in my experience, and usually speaks of high prices and average quality. The interior is tasteful; nothing too flash. Bare brick walls. Black and whites of old Kazimierz and a slightly formal atmosphere: not shirt and tie, but not sneakers and jeans either. Semi-formal really, the kind of place you might take your parents without feeling out of place. Relaxing music plays, but the place is almost empty on a Friday evening. We have our pick of seats though. An obviously attentive waitress serves; her English is good enough to recommend us dishes and wines. Qrudo. This word has no meaning, but the Italian ‘crudo’ means raw, not cooked. It often refers to meat or fish. I am not sure if this is relevant, but the starter list does contain a steak tartar, which I avoid on the grounds of having recently had a slightly unsettled stomach. Instead, I opt for a fairly typical Polish entrée – goose liver pate with toast and plum sauce. Reasonably priced at 16zł, it comes served with pickled gherkins, shallots and a cherry sauce. The dish reminds me of what you’d get at a Polish grandmother’s place – and I mean that in the nicest way. Smooth and tasty, it makes a great starter, and is also fairly substantial. No small servings here. I order a glass of wine – a red Chilean – from the fairly extensive wine list (12zł) which ticks the usual boxes – Italian, French, Argentinian, South African. This semi-dry has a slightly earthy bouqet, but I like it. I order a soup next – cream of mushroom – and this arrives rapidly, and in a pleasingly decent-sized bowl. It’s faultless – extremely smooth, creamy and served at the requisite heat with a side of bread rolls with delicious butter. At 12zł, again the price is friendly. 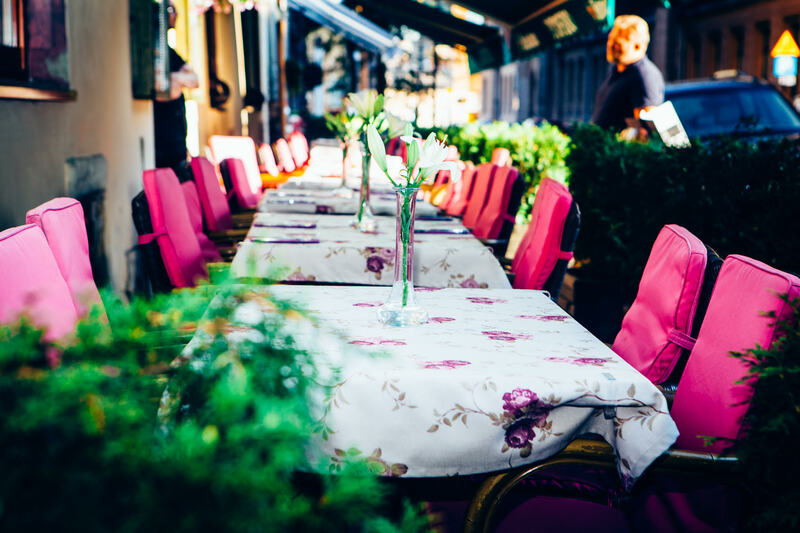 A large group of Italian tourists arrive at this point and lend the place a bit more atmosphere – why is it that empty restaurants feel so depressing when in fact it should be an advantage? – and the waitress becomes a bit more preoccupied. However, the service never slips, and our main course arrives in a timely manner. I get a steak, which comes with creamed potato, caramelised pumpkin and rosemary sauce (59zł). As I’ve mentioned before in this column, (good) steak is still relatively difficult to find in Krakow, and, on the rare occasions it is found, it is usually very pricey. I ordered this one to be medium, and it came exactly as I wanted it, slightly pink on the inside and not at all chewy. The measure of a good steak is always whether or not it melts in the mouth – there’s not much more to it – and thankfully this one did. It was also, again, a generous cut and I wouldn’t imagine anyone leaving this restaurant hungry. The sides were thoughtfully presented and complemented the meat well, whilst the sauce was what a sauce for a steak should be – salty, flavoursome and yet not strong enough to distract from the taste of the meat. A dessert to finish: a vanilla crème brûlée (12zł again, this is a theme). I suppose this is an example of how the menu has a few nods to international cuisine – most Polish restaurants do these days – and it is perfectly acceptable – blow-torched to crisp perfection on top and cool inside. My traditional Irish coffee rounds the meal off nicely, and means that a four course meal with two drinks comes to a lot less than 150zł. That represents very good value indeed, even in this famously thrifty city. I’d certainly recommend this place, if not for originality then for good-value Polish cuisine with a twist. It’s the kind of place that, ten years ago, would have been a go-to place for expats showing friends a good Polish dining experience, much as Pod Aniołami or Chłopskie Jadło were back then. 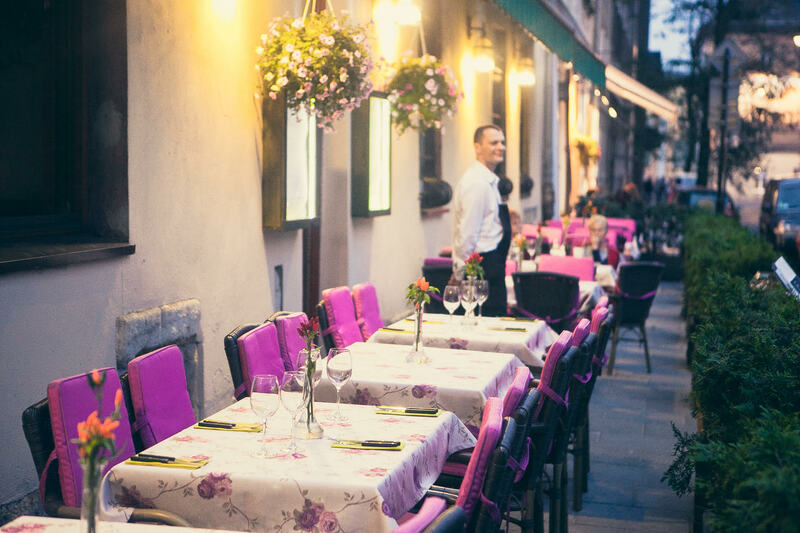 The fact it’s much better than either of those, yet is currently going rather unnoticed – goes to show how much the dining scene has evolved in Krakow in that time. A version of this article appeared in the 119th print edition of The Krakow Post. Sounds better than that last industrial place you reviewed. However, I have to queries here. I have still not come across a good semi-dry red wine yet so was curious as to why you ordered this? Also you say thus is a Polish food restaurant but the three dishes you ordered all seem to be ‘international cuisine’ so us it Polish or international or a bit of both?